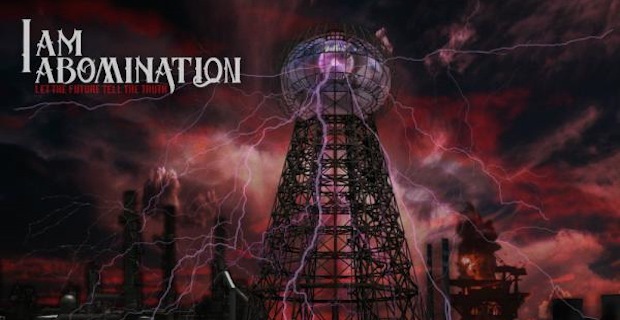 I Am Abomination have been releasing music over the last five years and have managed to stay relatively under the radar during that time, which is something the band has been very proud of. Let The Future Tell The Truth is a ten track LP that has been their most recent musical endeavor. This album can be considered as one of many which claim to be the anthem for the call to political change. There is no doubt in the abilities of the lead guitarist and vocalist. That has always been, and probably will always be the first thing anyone will notice about I Am Abomination. Phil Druyor has a strong clean voice that is complimented by Nick Sampson’s impressive guitar playing prowess. This is evident throughout the album and there is plenty of opportunity to hear the guitar dominate solos. One of the best songs on the album would have to be “To Rebuild”. It’s a cry for change that will continue to ring in your ears even after the album has stopped playing. The lyrics are the catchiest on the album and will have you singing along. A song that deviates from the political message would be their single “Hangin’ On”, which speaks out against record labels. This is another noteworthy track which highlights that any musician can be successful even without the backing of a label, just like I Am Abomination have done. To some fans, this will seem like a natural progression for the band, and they are probably right. To fans of the way these guys sounded like in To Our Forefathers though, this might be disappointing as it doesn’t posses the same level of catchiness that they had before. Since the guitar and vocals are what carry the band’s sound, the rest of musical elements are very bland at times. It would be nice to see the band develop their entire sound instead of just two components. Even with the album’s shortcomings this album is, at the least, validation that anyone can be successful and pursue their dreams without the aid of music labels. Music is something that inspires people across the world, maybe this album is the inspiration the next generation of youth need to chase their dreams on their own terms, whether that’s to produce music or change the world.